I’m so glad I gave these Sunflower Seed Cookies a try. 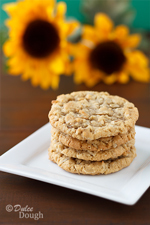 They were fantastic—the nutritious sunflower seeds add a nice nutty flavor to the sweet cookies. I had forgotten how much I love sunflowers and sunflower seeds. When I was young I was fascinated with sunflower fields—all those big, beautiful, golden flowers facing the sun. I remember taking note of the direction the flowers were facing early in the morning on the way to school and then checking again in the late afternoon on the ride home. And sure enough—the flowers had followed the sun! As a child I also enjoyed eating sunflower seeds, although I have to admit that when I first tried them I just sucked on the seeds and then spit them out without eating the kernel inside. I seriously didn’t know I was supposed to crack open the seed and eat the kernel inside. I saw people spitting out the seeds and thought that was what I was supposed to do. And even after learning that there was actually something to eat in the seeds, I never perfected the technique for cracking open the shell in my mouth. Luckily you can buy sunflower seeds already hulled, which is what you need to make these delicious Sunflower Seed Cookies. Sunflower seeds add a nutty flavor to these oatmeal cookies. 1. In a mixing bowl combine butter and sugars until light and fluffy; add eggs and vanilla and combine.2. In a separate bowl, combine the flour, baking soda, baking powder, and salt.3. Add flour mixture to the butter mixture and mix until well combined.4. Stir in oats, coconut, and sunflower kernels.5. Drop by rounded tablespoons onto ungreased baking sheet.6. Bake at 350°F for 8 - 11 minutes or until cookies are lightly browned around the edges.7. Allow cookies to cool for about 1 minute on the cookie sheet, then move cookies to a cooling rack and allow to cool completely. 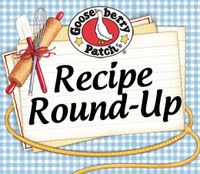 Recipe adapted from National Sunflower Association. Cookies looks delicious, you are great baker. These are wonderful Jill! I love that they have oatmeal in them. I can't wait to try these! These look delicious and such a different flavour combo. Can't say I've eaten many sunflower seeds. My parrot loves them though, LOL. Love that they're oatmeal based too. I'll be trying some of these soon. Oh, I adore sunflower seeds! But I've never baked with them..nor seen a sunflower seed cookie recipe till now. Your cookies sound fantastic...love that they have oats and coconut, too. So yummy! Now I want to give it a try as I love sunflower seeds and usually add it to my bread. I am pretty sure they tasted great with coconut flakes. These cookies look absolutely delicious. Definitely bookmarking them! I have so many sunflower seeds just waiting to be used up! Can't wait to try these out and finally get rid of those seeds that have lasted me so long! i love your recipe! these look pitch perfect. thanks for sharing! I love it! I don't know why but it never occurred to me to add sunflower seeds to cookies. Can't wait to try it! Too funny about the seeds :) Great idea for a healthy cookie too..
What a delightful and healthy recipe! My daughter will want to make these cookies for her little boy! Such a lovely story Jill! i grew up eating sunflower seeds but have never learned how to crack opened them in my mouth. I always crack them in my hands or simply buy hulled ones. Can I use sweetened coconut flakes? Or, do I need to adapt the recipe w/ these ingredients? Thanks!! I made these! I did not use coconut out of personal preference, only 1 cup of oats and 1 teaspoon of cinnamon and wow did they turn out great. I think next time I will also add 1/2 cup more sunflower seeds and some more cinnamon. The sunflower has been used since ancient times as a food source - carbon dating shows Native American use from as early as 2300BC!